At Harris, Harris & Schmid, in Norwalk, Connecticut, we are a full-service law firm with a strong focus on personal injury and family law. For over 60 years we have provided intelligent, focused and aggressive representation to individuals and small businesses throughout Connecticut and Fairfield County, including Greenwich, Stamford, Danbury, Norwalk, Westport, Bridgeport, Milford, New Haven, Waterbury and Hartford. In addition to our two focus areas, our attorneys are also well-versed in criminal defense, workers compensation, litigation, estate planning, probate administration, real estate, landlord-tenant disputes and corporate setup. 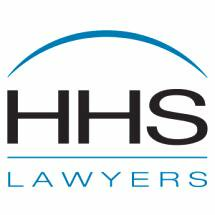 Harris, Harris & Schmid, treats clients with respect and dignity starting with a free initial consultation. We also accept credit cards for payment of our reasonable and competitive legal fees.